Telangana IT minister KT Rama Rao has invited Tollywood superstar Mahesh Babu to take the green challenge. In fact it was director SS Rajamouli who invited KTR and the IT minister who accepted the ‘Baahubali’ director’s proposal, has planted three saplings. Sharing the pictures of the saplings, KTR then invited Mahesh along with cricketers Sachin Tendulkar, VVS Laxman, Katherine Hadda, the US Council General of Hyderabad and noted journalist Rajdeep Sardesai. 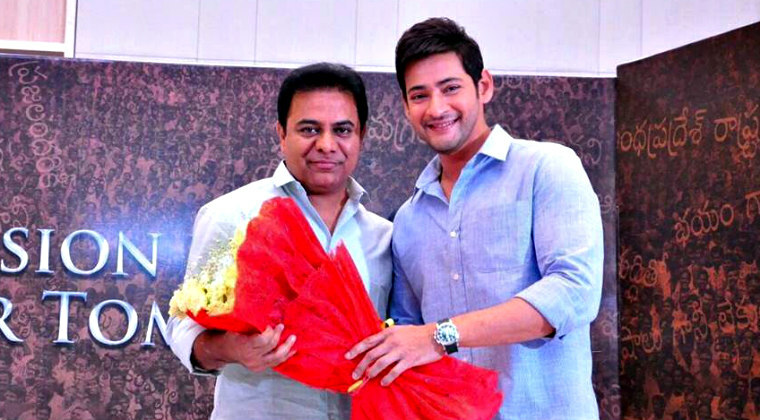 KTR and Mahesh share a great rapport and the other day, the actor has wished the minister on the eve of his birthday. Tholi Prema trailer is too romantic!